By Heather Nicholson on March 10, 2013 Visit Heather's Website. 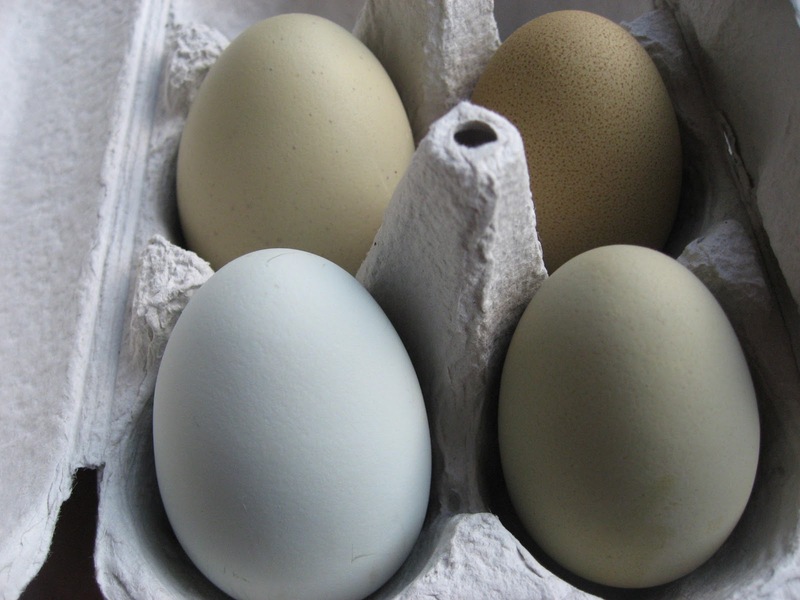 Have you ever wondered what makes blue eggs blue or why a green egg layer might hatch from a blue or brown egg? Did you know that brown eggs are coated with a “paint” made from blood, and blue egg shells contain a chemical byproduct of bile? Read on to find out the science behind egg color. Egg shell is made almost entirely from calcium carbonate (CaCO3) and about 5% is made up from other minerals such as calcium phosphate, magnesium carbonate, and various proteins. White egg shells have no brown pigment over the surface or blue pigment within the shell. However, sometimes even white-egg-layers can lay a slightly brown or tinted egg after a long period of non-laying. Egg color is often (not always) tied to chicken earlobecolor. Chickens which lay white eggs tend to have white earlobes, like the pullet above. Mediterranean breeds, such as the Leghorn, are bred to lay white eggs. This brown pigment is protoporphyrin, which is derived from hemoglobin or blood. A little brown pigment over a white egg will produce a slightly tan egg; a lot of this pigment will produce the deep chocolate brown seen in Marans eggs. Because this pigment is not part of the shell but more like paint on the surface, it can actually be washed off. It can also be scratched, and some nesting materials, like wood chips, can mar the surface of a brown egg when the “paint” is still wet. Because it is controlled by so many genes, brown egg color does not always act in a consistent way. Generally, if you cross a light egg layer with a dark egg layer, the resulting generation will lay an intermediate color. However, some breeds have a gene which can inhibit (lessen or block entirely) the expression of brown pigment. Some birds from South America, such as the Araucana, carry a dominant gene for blue egg shells. In addition to calcium carbonate and the other typical minerals, blue egg shells contain oocyanin (thus the genetic symbol O; note the root “cyan”) which is a byproduct from the body’s production of bile. This blue pigment is not a coating like brown but is throughout the egg’s shell. Thus, the blue egg is also blue inside (before the inner membranes dry to a papery white) and is more difficult to see into when candling. However, like brown pigment, the amount of oocyanin will also lessen throughout a hen’s laying cycle, and she will lay progressively lighter blue eggs. Interestingly, the gene for blue egg shells is closely related to the gene for a pea comb. A pea comb is a good predictor of the presence of the blue egg shell gene, but a chicken can have a pea comb and have white-shelled eggs. There is now a theory that blue-green pigments in egg shells help to protect the growing embryo from solar radiation. This may be why these pigments are often found in more breeds and species from tropical regions. 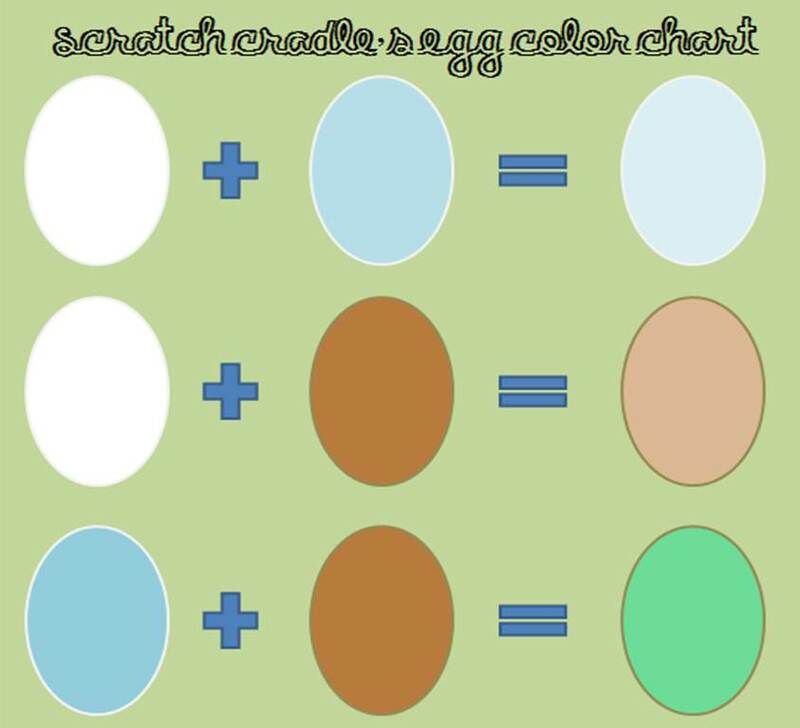 When a brown coating overlays a blue egg shell, the egg appears green. If the brown coating is very dark, the egg appears olive. Today, many breeders are creating their own strain of mixed breeds to produce “olive eggers.” Generally, this is a cross between an Ameraucana and a Marans. To darken the olive tone, breeders often breed back to a Marans several times before stabilizing their line. Current research acknowledges only two base shell colors: white and blue. However, pink eggs are common among Easter Eggers, purple or lavender eggs sometimes result from barnyard crosses, and Croad Langshans lay plum colored eggs. While it may be that a pink pigment can permeate the shell (see this forum discussion), pink coloring usually results from the bloom or cuticle which is a protein-like mucous coating applied by the hen’s reproductive tract just before the egg is laid which protects the egg from bacteria. This is why it is best not to wash clean eggs; washing removes the protective cuticle. This cuticle, when applied over a white egg shell, creates a pink-colored egg. Just as thicker layers of protoporphyrin result in a darker brown egg, thicker layers of bloom result is a darker plum-colored egg as in that of the Croad Langshan (a breed which was actually used in the development of the Marans.) Gray appears to be the result of a thick layer of bloom over a blue or green egg. If you are interested in learning more about egg color inheritance and chicken genetics, check out the Chicken Genetics Mini-Series on Scratch Cradle. Hey thanks for the info. I had forgotten all of this my grandmother taught me with their backyard chickens on the farm years ago! 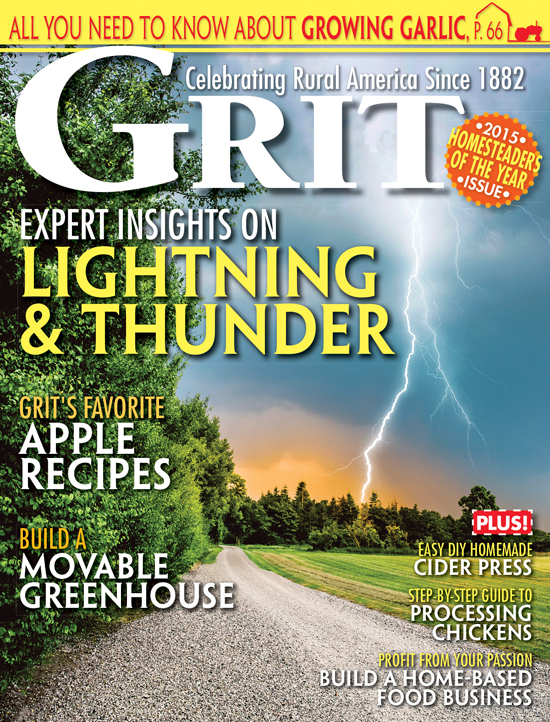 Very informative and interesting reading material. Thanks. Very interesting! I found it informativead and now I can impress those who don’t know. Is there a chicken, other than the Chilean Tinamou, that lays purplish eggs? Has anything like this been selected yet or do you think it is even possible? Great information. I have heard it’s best to store eggs small (pointy) side down. Some folks going so far as to rub each egg with mineral oil. I usually have so many they just get put into a stainless steel container though. When I need to use the egg it gets cracked into a separate bowl; whichever does not seem fresh just goes back to the flock. And when it comes to hard-boiled eggs those that “float” in the water prior to boiling get tossed back to the birds too. I have one hen that lays “olive” eggs, she is an EE mutt. Dad is a beautiful Golden Duckwing Easter Egger, and mom is a Light Brahma. She looks like a speckled Colombian with a beard and muffs and willow legs. Thank you, and thank you, Melanie! Fantastic information, Heather! I never finish one of your posts without something brilliant. These eggs are beautiful! What a grest website.